Minneapolis, MN: Mortgage insurance? Everyone asks when can you cancel mortgage insurance? The answer can vary greatly bepending on loan program chosen, the down payment size, and market conditions. Understanding the basic’s goes a long way in helping make a loan and down payment decision. You can ask the lender to remove monthly mortgage insurance earlier if with the combination of paying down the loan, and home appreciation, you believe the amount you owe on the home is now less than 80% of it’s value. Lender paid mortgage insurance – This is where your lender increases the loans insterest rate to pay for the mortgage insurance in lieu of you paying it monthly. There are a ton of variables in this option to determine if it makes sense, and is not automatically good or bad. Borrower paid mortgage insurance – This is where you pay an extra lump sum at closing to buy out of monthly mortgage insurance. Generally the cost is about equal to 40 payments of monthly mortgage insurance, and can really add up. As with lender paid mortgage insurance, there are many varibles to determine if this options makes sense. You can potentially do the old two loan option to avoid mortgage insurance. For example you get a standard loan at 80%, and a second mortgage at 10% (total = 90% financing). I’m not a gigantic fan of this option in most cases because when you do this, generally the first mortgage insterest rate is .125% higher because your risk level is still 90%. 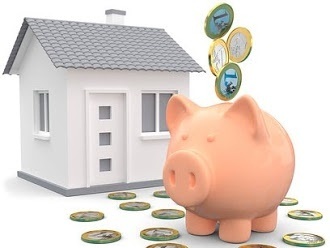 Next, most home equity loans are varible rates, with minimum payments of interest only. I’ve seen many people take this option, then make small interest only payments. 10-years from now, they still owe the full amount, leaving themselves in worse position than if they had taken standard mortgage insurance. Finally, standard monthly mortgage insurance is very different today than just a few years ago. For most people, it is a lot cheaper. All the mortgage insurance companies have switched over to risk based pricing. A 5% down loan needs to cover your risk 15% (to 80% loan-to-value), and is therefore more expensive that a 15% down loan, which only needs to cover your risk 5% (to 80% loan to value). Next, credit scores matter too. Someone with excellent credit will pay significantly less in mortgage insurance than someone with weaker credit score. One other factor is how many borrowers. Generally speaking, two well qualified people buying a home are less risk than just one person, so mortgage insurance even fators than to determine the cost. The simply reason being if there are two borrowers, and one has a job loss, they have less risk of default than just one borrower who has a job loss. In the end, a good Loan Officer will also have, as part of your loan review, a conversation about mortgage insurance options with you. If they didn’t, call someone else! 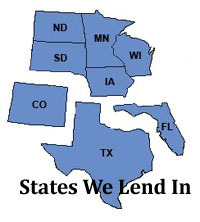 I lend in MN, WI, and SD and would love to be your lender. The Fed Funds Rate is only a small portion of what makes up your overall interest rate, and may other things factor in, including the stock market, and global issues, like trade with China and geopolitical problems across the world. For example, 30-yr rates have moved up and down within about a 0.375% range in the past two months. So How Does A Fed Interest Rate Hike Impact You on a Mortgage Loan? For the short-term, those looking for standard loans, like a 30-year fixed really won’t be impacted, as what the Federal reserve does only has a partial effect on these rates. It would take a noticeable increase in inflation to impact loan-term rates. Adjustable rate mortgage loans, and home equity loans tied to the prime rate on the other hand should immediately rise. If you have an adjustable loan, with a change due soon, expect that to rise. It may be a good idea to refinance those adjustable mortgage loans today. Contact us to discuss your options at (651) 552-3681. For example, if you did a 5-year fixed/adjustable loan 5-years ago, it is going to be going up. How far depends on many variable based on how the original loan was done, but it may be time to lock in something fixed. Looking to buy a home in the near future? You can still get some awesome rates from a historical picture. Sure, they are a bit higher than the middle 3’s from a couple of years ago, but pretty attractive compared to the 16% fixed rate I received on my first time home buyer loan back in 1981. No one can predict interest rates, but the trend is currently not your friend. My only suggestion is that as the economy continues to improve, the long-term trend is not your friend. We expect rates to slowly continue creeping up throughout 2019 and beyond. So if you were thinking of buying a home, better sooner than later. Minneapolis, MN: We are starting to see them pop up everywhere, mortgage companies, mortgage brokers, and lenders, making these great sounding mortgage closing guarantees, where they make claims of paying $500, $5,000, or ever $10,000 guaranteed if they don’t close your loan, or if they don’t close on time. These offers vary from lender to lender, but the basics are the same. Claiming to pay someone if something happens. Some claim to pay the seller if the deals falls apart. Some claim to pay the Realtor, some claim to pay the buyer, some claim to make your first house payment. As with so much in life, it is probably smart to look at these claims and offers with a bit of a skeptical eye. So let’s us take a look at what they are all about. The first thing to ask is if they are real, with the answer generally being yes, but with the caveat that there is so much small print, that they can make these claims, because they never ever expect to pay them! The reality is these guarantees are nothing but marketing ploys to get you to select one lender over another, and most of them come with a price. These claims are incredibly low risk for the lender because in order to offer them, they simply do a complete loan underwrite of your application, except for the appraisal report, and title commitment, both of which can’t be done until after you’ve made a successful offer to purchase. All of the guarantees have so many loop holes, time parameters, and requirements, that no lender ever expects to pay. For example, common items are things like; you must find a home within 30-days, or you must close within 60-days. You may no go over your pre-approved purchase price, or monthly payment. No material changes to your application allowed; like changing jobs, or changes to credit score. Basically no changes to anything. They will also say the purchase agreement must be OK, the appraisal must be OK, and that the title search must be acceptable. They also say they won’t pay if you don’t provide documents in a timely manner, fail to sign documents and disclosures in a timely fashion, fail to disclosure information, and a litany of other reasons. Many of these offers also come with loan program or property type exceptions. You’ll see things like no FHA Loans, no USDA loans, reverse loans, first time home buyers with down payment assistance, or refinances. You’ll see restrictions of no short-sales, no foreclosure properties, no brokered loans, and even no jumbo mortgage loans. Oh, and don’t forget third parties too… For example, lenders have no control over appraisers, so if the appraisal takes too long, there is a loop hole for that too. Restrictions apply covers ever single possible reason a loan would not close, or not close on time, essentially rendering the guarantee worthless. Yup, the small print matters. OK, but what is wrong with the claims? Nothing, but gimmicks are gimmicks. Just because they make a guarantee claim, does this make them the best interest rate? How about the lowest closing costs? Does this mean you are getting the best loan? Does this mean the Loan Officer is experienced? Paying a higher interest rate, or higher closing costs, and especially being put into the wrong wrong program by an inexperienced Loan officer in not exactly smart in exchange for a fluffy offer that will never be paid if something were to go wrong. For Real Estate Agents, there is a down side too. I was recently at lunch with an agent who advised their client to accept the offer from buyer who was using a company with one of these offers, making note that if the transaction fell apart, they were guaranteed $5,000. When that deal actually did fall apart, and the lender refused to pay because of some of the aforementioned loops holes, the seller fired the agent because the agent talked highly about the guarantee. Oops. Fast and pretty good, or slow but super accurate? It’s your choice. In order to offer these guarantees, the lender offering it must do a full and complete underwriter reviewed loan approval. This means you must complete a full application, submit all your paperwork, meet any and all additional conditions, plus wait for job and IRS tax return verification’s to come back. While there is nothing wrong with this, and it is actually the better way to go, it can cause real issues if you fall in love with a home before the pre-approval is ready, or you are otherwise trying to make a quick offer. The home can be long gone while you wait for the Pre-approval. Historically, most home buyers situation are pretty straight forward, so a basic traditional Pre-approval can be very quick. Walking into my office and leaving with a Pre-Approval Letter is common. This faster pre-approval is still by far the most common way lenders do pre-approvals. The bottom line is feel free to pick whatever lender you want to work with, but don’t pick them just because of marketing gimmicks, and worthless guarantee – especially as they usually come with higher costs.